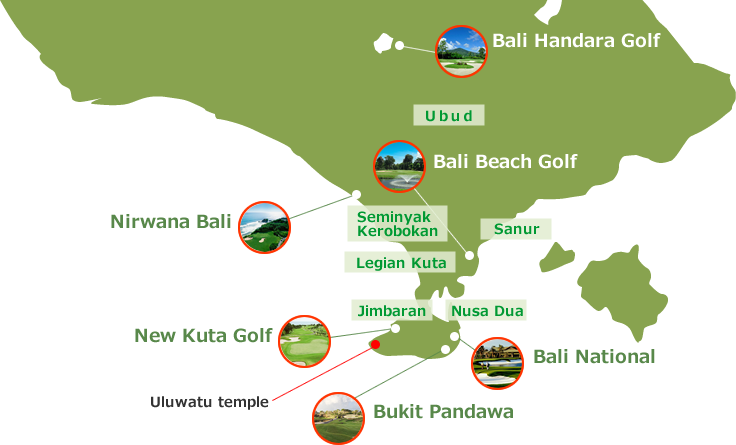 【Bali Balli Golf】No.1 golf reservation web site in Bali. Each facility such as club house, course condition and layout is first-class. 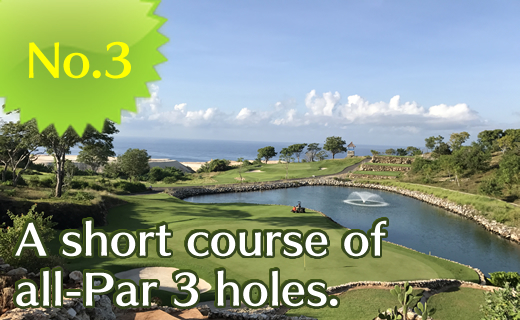 The spectacular view overlooking the Indian Ocean makes this the definitive golf resort! 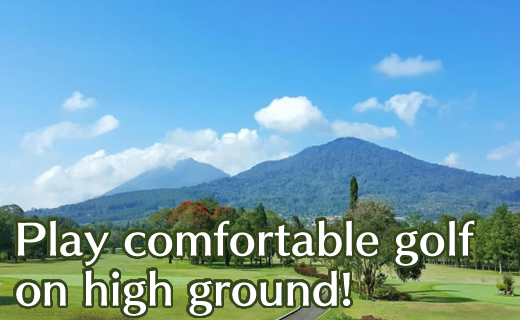 Bukit Pandawa is in all short-hole course, allowing you to go around it in about 3 hours. Refreshing air in the highlands and the beautiful scenery offer comfortable gameplay. 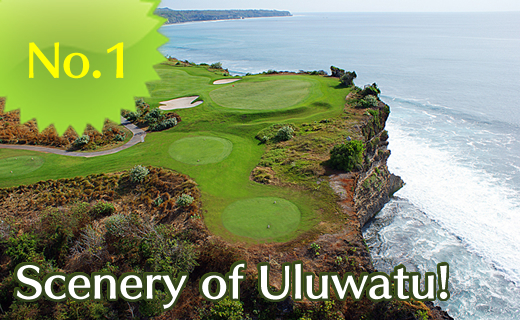 Surrounded in nature, enjoy this course on rolling hills! 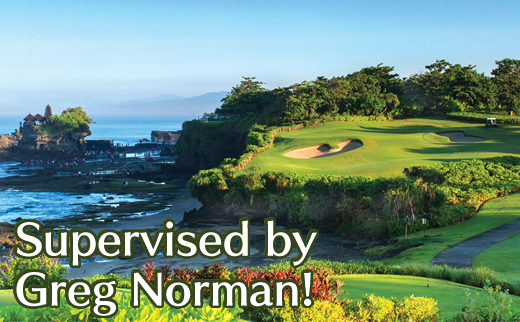 It has been described as the most beautiful in a long line of Asian golf courses! 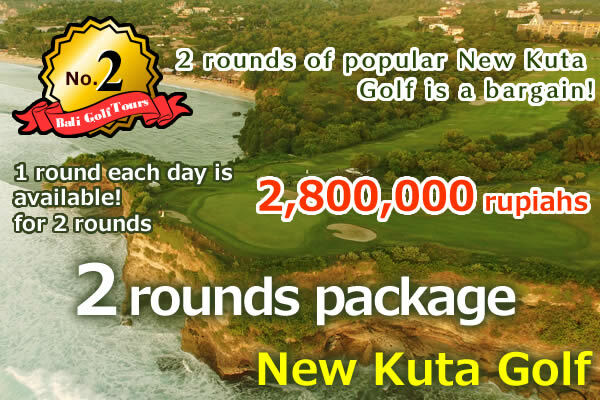 Each customer who makes a reservation at New Kuta Golf will receive 1 meal ticket and 1 drink ticket. You can choose 1 mean and 1 drink, so please use before or after rounds. ※When using, please show the coupon given to you before rounds. ※Meal ticket will not be provided for 2-round package. We now have a popular 2-round package plan! 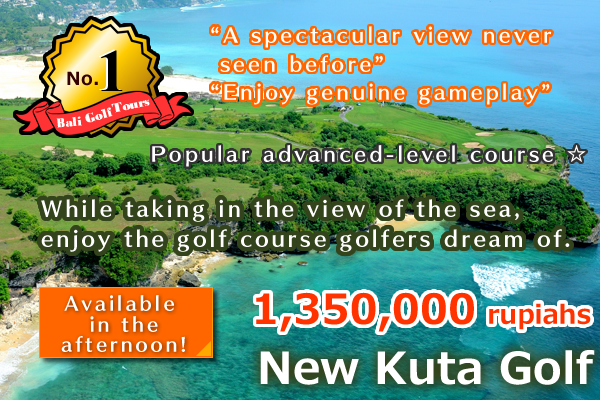 We have prepared a new plan for customers who want to go another “round” in our most popular course. ※We also offer both pick up and non-pick up service. Choose a plan from the chart provided. For people who really enjoy golf! We offer this reasonable 2-round pack! 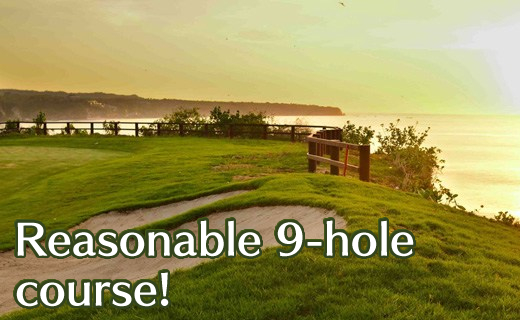 We also accept reservation requests from casual golfers. Each golf course offers quick reservations. 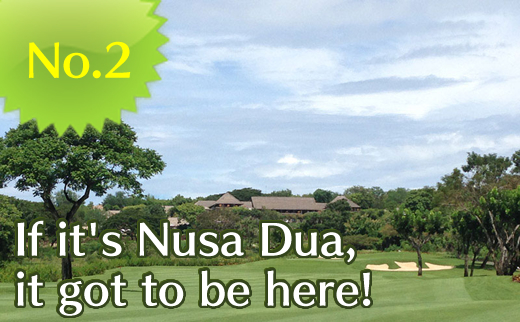 From Nusa Dua area 5 min. 20 min. 20 min. 1 hr.30 min. 40 min. 2 hrs.30 min. From Jimbaran area 30 min. 15 min. 30 min. 1 hr.30 min. 40 min. 2 hrs 15 min. From Kuta Legian 30 – 40 min. 20 – 30 min. 40 min. 1 hr.10 – 20 min. 30 min. 2 hrs.10 min. From Seminyak Kerobokan 40 min. 45 min. 1 hr. 1 hr. 30 min. 2 hrs. From Sanur area 40 min. 45 min. 50 min. 1 hr.30 min. 10 min. 2 hrs. From Ubud area 1 hr.30 min. 1 hr.30 min. 1 hr.40 min. 1 hr.30 min. 1 hr.40 min. 1 hr and 30 min.